When I visit my friends in Little Tutka Bay, Alaska, I always enjoy being able to photograph the small bay at low tide. When the water level is high, the bay looks like any other bay … full of water, with an occasional sea otter or water bird present. 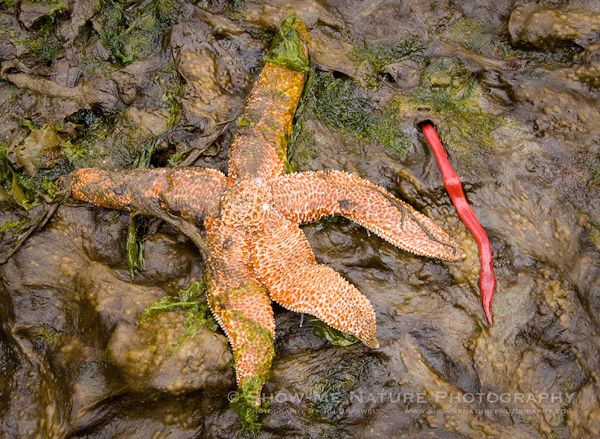 But when the tide rolls out and the area becomes a large tide pool, things get real interesting! 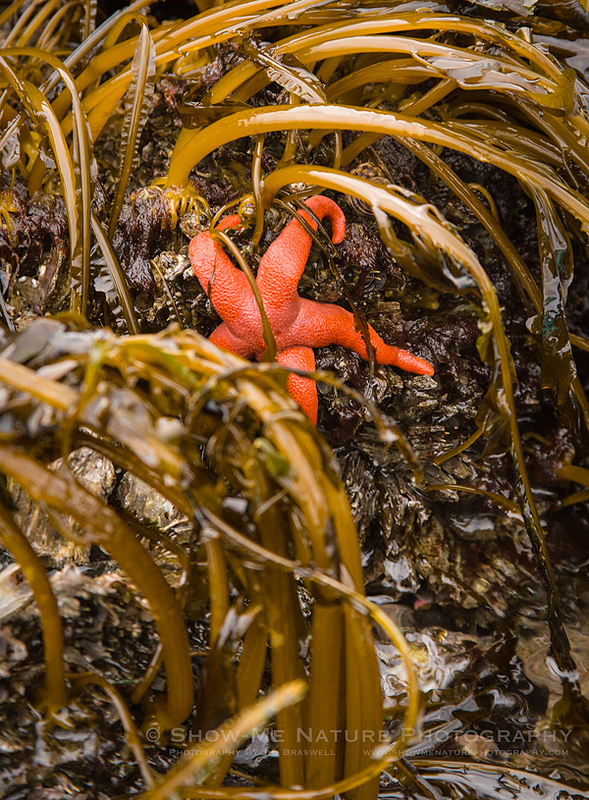 Most people are very surprised to find that Sea Stars are present in Alaska. But they are very common, and they come in many different colors … brown, blue, green, orange, red … like an underwater rainbow! 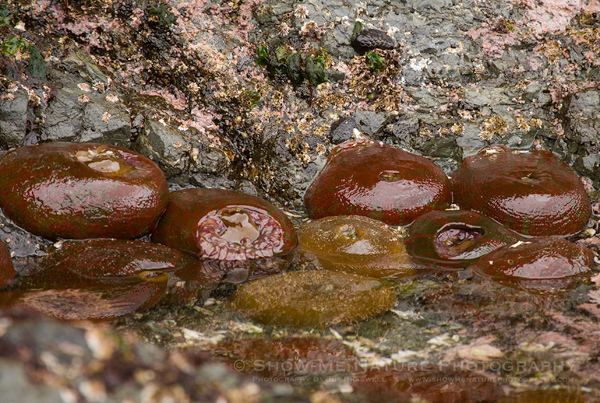 As I run upon more tide pool inhabitants, I’ll post some more images of these amazing “low life” creatures. Shutter 1/60 sec. to 1/125 sec. Tags: 2014, Alaska, behavior, Blog, Little Tutka Bay, nature, nature photography, photography, spring, tide pool creatures, travel.